• If you are the parent of a child with a heart defect, and would like to approach your surgeon or cardiologist to get involved with CHP, please contact us by calling (828) 262-1980 or email us. • Consider a fundraiser to raise money for a child’s expenses to come to the USA for surgery. You can create your own page and tell your friends. • If you are a medical professional or have contact with administrators, pediatric cardiothoracic surgeons, and pediatric cardiologists at Children’s Hospitals and would like to help, please contact us by calling (828) 262-1980 or email us. • Join the CHP Prayer team. We are looking for people who will commit to pray for our project, our staff, children having surgery, and the children on our waiting list. We cannot do what we do without others praying for us. Consider setting aside one hour per week to pray for CHP. Prayer list here. 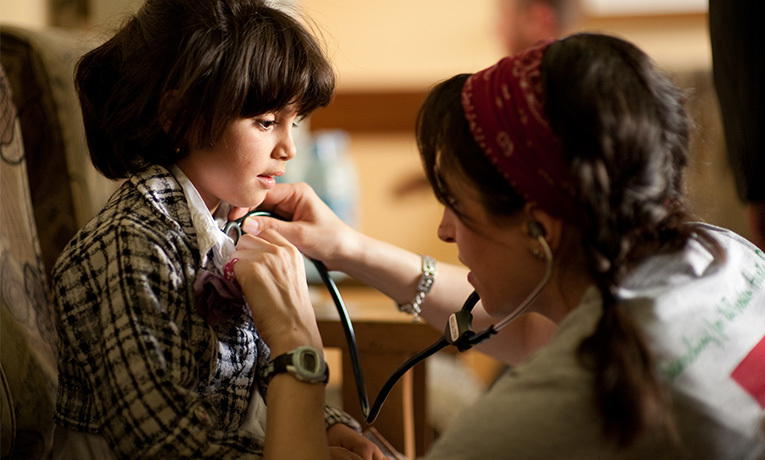 Our Children’s Heart Project has brought more than 1,100 children from developing nations to North America for life-giving surgery, and hundreds of patients and their relatives have accepted Christ through the loving witness of Christian host families and churches. Round-trip airfare costs about $2,200. By helping to sponsor a child, you can share in the miracle of hearts—and souls—made whole. Click here to donate.